Schulte Roth & Zabel (SRZ) investment management partner Christopher Hilditch was recognised for his “Outstanding Contribution” to the industry at The Hedge Fund Journal’s 2017 Awards event, during which the firm also received the “Best Global Law Firm” award. Hilditch and SRZ partner Josh Dambacher serve as co-heads of the firm’s London office, which was opened in 2002. A pioneer in the alternative investment management industry, SRZ was founded in 1969 and is headquartered in New York City. At school, Hilditch had contemplated a career in the British Army, before work placements at law firms piqued his interest in the legal profession. After studying Classics at Oxford University’s Pembroke College, Hilditch joined Simmons & Simmons, which sponsored his law conversion course and solicitor training. Six years after qualifying, the precocious offer of a partnership and heading up a funds practice lured Hilditch to another firm, but only two years after that, in 2002, he was singled out for an opportunity that was too good to pass up. As such, Hilditch, along with the late Daniel Shapiro, an SRZ founding partner, opened the firm’s London office in 2002. Hilditch states: “Shapiro, a tax partner and expert in fund structuring, came over to help set up the office,” and his legacy continues. “Tax is fundamental to structuring and managing funds and our real advantage is having dedicated tax partners who do not need to be told how the hedge fund industry operates,” Hilditch explains. In addition, SRZ is one of only a few firms with a dedicated group of lawyers specifically focusing on regulatory and compliance matters within its private funds practice. SRZ’s Investment Management Regulatory & Compliance Group is chaired by New York-based partner Marc E. Elovitz. In the London office, leading financial regulatory lawyer Anna Maleva-Otto focuses her practice on advising fund managers on regulatory and compliance matters, including the implications of the AIFMD, MiFID and EMIR. This concentration of expertise is appreciated by the oldest and youngest hedge funds alike. SRZ consistently ranks as the top legal service provider for hedge funds based on assets under management in the annual Market Microstructure Hedge Fund Industry Report released by Hedge Fund Research Inc. SRZ advises managers that run approximately 13% of industry assets; “the next largest player is only 8.25%,” says Hilditch. Gross revenue shares are the most common deal structure, though some deals can involve equity. Whilst industry assets continue to increase, the number of funds is shrinking, with Cayman fund liquidations outnumbering formations. “Barriers to entry are higher as investors expect full infrastructure and regulatory authorisations on day one with no shortcuts. You need a critical mass of assets to raise more, and it is hard to launch now just with friends and family money. We see more mature launches, such as second-generation managers who have established their reputation at another firm,” Hilditch observes. Indeed, the hedge fund industry has changed beyond recognition during Hilditch’s decades-long career. He nostalgically recalls how in the 1990s “most US hedge fund managers were not even regulated, and UK ones were only overseen with a rather light touch.” Now, many of SRZ’s UK clients are fully registered SEC advisers, most often because they want to advise or sub-advise managed accounts for US investors, orthey run a vehicle where at least 25% of assets belong to a US ERISA plan. SRZ’s regulatory practice has naturally grown with the increased level of regulatory scrutiny, and AIFMD has been a momentous change for most managers. Hilditch was among a committee of experts that played a role in advising the FCA and HM Treasury, which in turn helped to shape AIFMD. Hilditch feels that the UK’s input into policymaking will be sorely missed, post-Brexit. “It will be interesting to see how ESMA, the European Commission and the European Parliament, operate without the UK,” Hilditch says. The directive has generated extra work for managers and allocators as well as law firms. 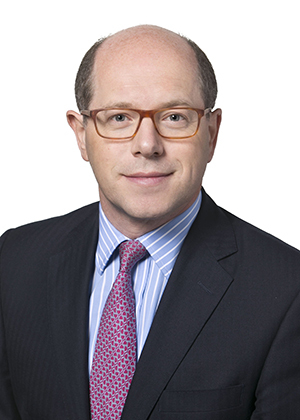 “The valuation obligation under AIFMD has created some real issues, though more for illiquid assets and not for most long/short equity funds,” Hilditch reflects. “The first aspect is understanding the interplay between the board of directors, manager and administrator. A well-run board should consider issues that have arisen in reports from managers and administrators,” he explains. “The second point is for investors’ due diligence to understand policies and procedures around valuation, pricing hierarchies, checks and balances, dispute resolution, etc.” he goes on. Investors, rather than regulators, have provided most impetus for changes in investment vehicles. “When I started, most hedge funds did not even have a master-feeder structure though this is done by rote now,” recalls Hilditch. More recent developments include the growing popularity of managed accounts and co-investment vehicles, both of which can be very attractive to certain investors. “The growth of co-investment vehicles partly reflects where people seek opportunities. The average long/short equity fund will not offer many opportunities for co-investment, whereas activist and distressed credit strategies are far more likely to,” explains Hilditch, who sometimes sees co-investments designed to incentivize investments in flagship funds. “Managed accounts and funds of one are more likely to be offered after flagship funds have passed an asset threshold,” Hilditch finds. SRZ witnesses at first hand changes to the level and structure of fees for all types of investment vehicles, as documents are revised and investors informed. “Management fees are coming down and can be tiered, with lower fees for one or more of early bird investments into founders’ share classes, larger investments, and longer lock-ups. The headline rate of incentive fees is still usually 20%, but may be calculated over longer, multi-year periods and/or subject to hurdle rates,” Hilditch notes. Over and above these terms offered to all potential investors, some investors may seek a degree of customisation, which can involve netting performance fees across several products they are invested in. Conduit funds accessing several strategies from a manager are one route to obtaining these offsets.The main change on liquidity terms is that gates – restricting the amount redeemed per period – are now defined at the investor level, rather than at the fund level, according to Hilditch. “Hard and soft lock-ups are also pretty common. The overriding concern around liquidity is to align fund liquidity with portfolio liquidity,” he stresses. When it comes to onshore fund structures and liquid alternatives “a small number of very big players have succeeded in raising assets, mainly due to their distribution capability,” Hilditch reckons. “But the wider market has a more mixed experience of UCITS, having struggled to raise money, faced an operational compliance burden, an expense drag and a cannibalisation of risk,” he hears. Hilditch reminds us that85% of hedge fund industry assets are still in offshore vehicles for the simple reason that most assets emanate from the traditional investor base in the US. Hilditch argues “There is little point in having an onshore fund or a UCITS if you do not expect to raise assets in Europe.” He more frequently sees onshore running parallel to, rather than superseding, offshore vehicles. Re-domiciliation of say, Cayman funds into say Irish or Luxembourg funds, is rare in his experience. “Some onshore vehicles may run pari passu in terms of strategy but they often have higher expenses,” he adds. The biggest change is that onshore fund structures always form part of the conversation, Hilditch finds. The enduring preference for Cayman vehicles is partly due to the predictability of what is among the UK’s greatest exports: English Law. “Our common law system is broadly understandable from a US perspective versus codified, civil law principles applying in some European countries. For instance, there is a well-established insolvency system, whereas bankruptcies can be less predictable elsewhere. This has become more important as investors carry out more legal due diligence,” observes Hilditch. He is of the opinion that the Cayman Islands have judiciously increased oversight in selected areas “without changing the fundamental nature of regulation there, which is appropriate for the nature of the product and the type of investor.” For instance, the Cayman Islands are gathering more information, regulating directors and requiring audits, without imposing onerous burdens upon managers who are dealing with sophisticated investors. Hilditch is one of many SRZ lawyers who are actively involved with trade associations representing alternative asset managers, the largest of which are AIMA, headquartered in London, and the MFA, headquartered in Washington, D.C. Recently, SRZ sponsored an AIMA guide to MiFID II and Maleva-Otto, alongside AIMA, presented it to the industry. Hilditch has also authored, and co-authored with colleagues, academic pieces on the UK regulatory framework, and on more specific areas such as conflicts of interest, where he does not think everything can be hard-coded into a single manual or document, pointing out that “you need a framework and understanding of the sector but new things always come up, such as the SEC’s focus on allocation of trades and expenses at present.” So sought after is Hilditch on the conference circuit that even other law firms ask him to speak at events. Historically, SRZ’s new clients were often won through referrals from the firm’s existing network or market contacts such as prime brokers but “we are now at an interesting part of the life cycle where new clients are often coming direct to us based on our reputation. We just won a new fund that is very much below the radar and we did not previously know any of the principals – but they knew of us,” Hilditch is delighted to report. “The simple aim is to carry on growing our market share through picking up more launches and more existing funds,” he states, and that naturally implies hiring, and the expansion of SRZ’s London office. SRZ has both UK and US qualified lawyers in London; further, SRZ is distinguished by its top-tier US and UK capability andby “our partner-led and partner-intensive style of client servicing,” Hilditch reveals.